With such an attitude — a view of both the good things and the bad things in the world — it is possible for us to have and to fire an Orthodox world-view, that is, an Orthodox view on the whole of life, not just on narrow church subjects. There exists a false opinion, which unfortunately is all too widespread today, that it is enough to have an Orthodoxy that is limited to the church building and formal "Orthodox" activities, such as praying at certain times or making the sign of the Cross; in everything else, so this opinion goes, one can be like anyone else, participating in the life and culture of our times without any problem, as long as we don't commit sin. The first and most obvious way is to be in constant contact with the sou-rces of Christian nourishment, with everything that the Church gives us for our enlightenment and salvation: the Church services and Holy Mysteries, Holy Scripture, the Lives of Saints, the writings of the Holy Fathers. One must, of course, read books that are on one's own level of understanding, and apply the Church's teaching to one's own circumstances in life; then they can be fruitful in guiding us and changing us in a Christian way. First of all, Christian spiritual food, by its very nature, is something living and nourishing; if our attitude towards it is merely academic and bookish, we will fail to get the benefit it is meant to give. Therefore, if we read Orthodox books or are interested in Orthodoxy only to gain information — or show off our knowledge to others, we are missing the point; if we learn of the commandments of God and the law of His Church merely to be "correct" and to judge the "incorrectness" of others, we are missing the point. These things must not merely affect our ideas, but must directly touch our lives and change them. In any time of great crisis in human affairs — such as the critical times right in front of us in the free world — those who place their trust in outward knowledge, in laws and canons and correctness, will be unable to stand. The strong ones then will be those whose Orthodox education has given them a feel for what is truly Christian, those whose Orthodoxy is in the heart and is capable of touching other hearts. So also, our attitude must be not self-centered but reaching out to those who are seeking for God and for a godly life. Nowadays, wherever there is a good-sized Orthodox community, the temptation is to make it into a society for self-congratulation and for taking delight in our Orthodox virtues and achievements: the beauty of our church buildings and furnishings, the splendor of our services, even the purity of our doctrine. But the true Christian life, even since the time of the Apostles, has always been inseparable from communicating it to others. An Orthodoxy that is alive by this very fact shines forth to others — and there is no need to open a "department of missions" to do this; the fire of true Christianity communicates itself without this. 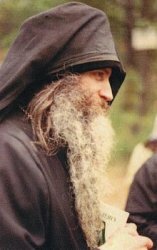 If our Orthodoxy is only something we keep for ourselves, and boast about it, then we are the dead burying the dead — which is precisely the state of many of our Orthodox parishes today, even those that have a large number of young people, if they are not going deeply into their Faith. It is not enough to say that the young people are going to church. We need to ask what they are getting in church, what they are taking away from church, and, if they are not making Orthodoxy a part of their whole life, then it really is not sufficient to say that they are going to church. A little humility in looking at ourselves would help us to be more generous and forgiving of the faults of others. We love to judge others for the strangeness of their behavior; we call them "cuckoos" or "crazy converts." It is true that we should beware of really unbalanced people who can do us great harm in the Church. But what serious Orthodox Christian today is not a little "crazy"? We don't fit in with the ways of this world; if we do, in today’s world, we aren't serious Christians. The true Christian today cannot be at home in the world; he cannot help but feel himself and be regarded by others as a little "crazy." Just to keep alive the ideal of other-worldly Christianity today, or to get baptized as an adult, or to pray seriously, is enough to put you into a crazy house in the Soviet Union and in many other countries, and these countries are leading the way for the rest of the world to follow.